I haven’t really paid much attention to Sony’s Day-Z like title, H1Z1. It’s probably because I’m not a fan of DayZ itself, so the idea of another game trying to replicate its success doesn’t really appeal to me. But I realize that I’m in a minority, and thousands jumped on H1Z1 when it launched on Steam last week. And now thousands can apply for refunds as well. H1Z1’s launch was somewhat marred by the apparently sudden addition of microtransactions that give players with deeper pockets an undeniable advantage. Players were angry, and many believed that they had been duped by the developers into buying a pay-to-win product. Although SOE doesn’t fully agree, they’ve offered a no-questions-asked refunds to anyone who wants it, although the offer ends today. Near the beginning of development, SOE promised that H1Z1 wouldn’t offer game changing micro transaction but rather only cosmetic changes for real world money. As anyone knows, things change during development, and in August last year the idea of airdrops containing supplies and weapons cropped up. It was, however, only last week that the feature was officially revealed, sending fans into a frenzy. Unlike traditional microtransactions though, H1Z1 comes with its own brand of risk behind airdrops. Once a player calls one in, an airplane enters the map and alerts all other players to the arrival of an airdrop. This allows anyone to essentially pick up the spoils, making the purchase more of a risk and less of a sure thing. It’s still game changing equipment, but at the very least it adds to some of the tension when other players could just wait to pick you off while stealing your paid for supplies. 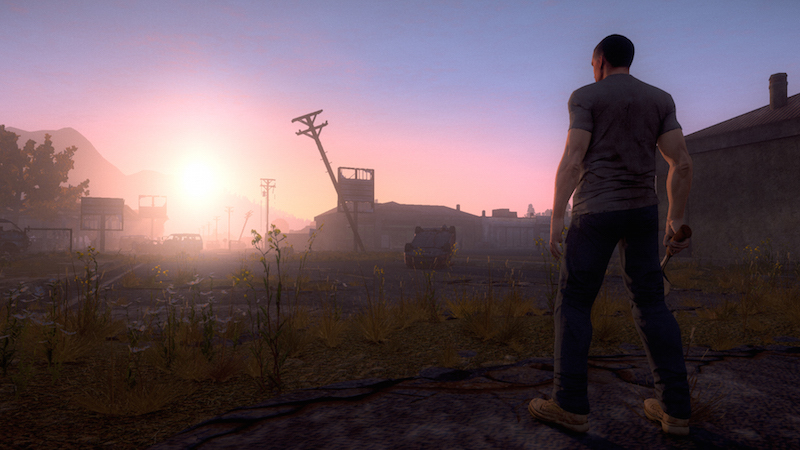 H1Z1 is still in technical alpha, so a lot of things are bound to change as SOE tinkers and tweaks their survival title. Did you take the plunge early or has Steam Early Access burned you once too many already?